What are geodes? How do they form? Where can they be found? How to open them and collect them. Heavily illustrated with beautiful specimens. This book is a 7" x 9" paperback with 292 pages. 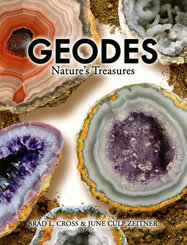 Chapter 1: What are Geodes?